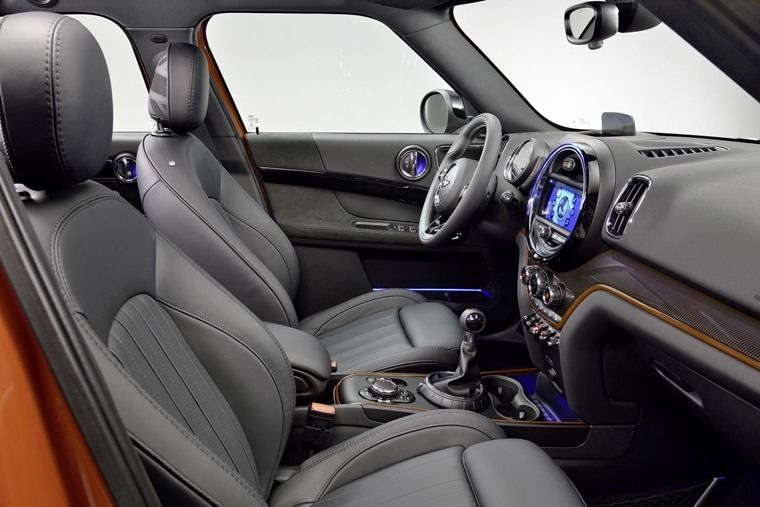 The new Mini Countryman is even bigger, the interior is plusher, but will this crossover attract fresh converts to its 'unique' style? 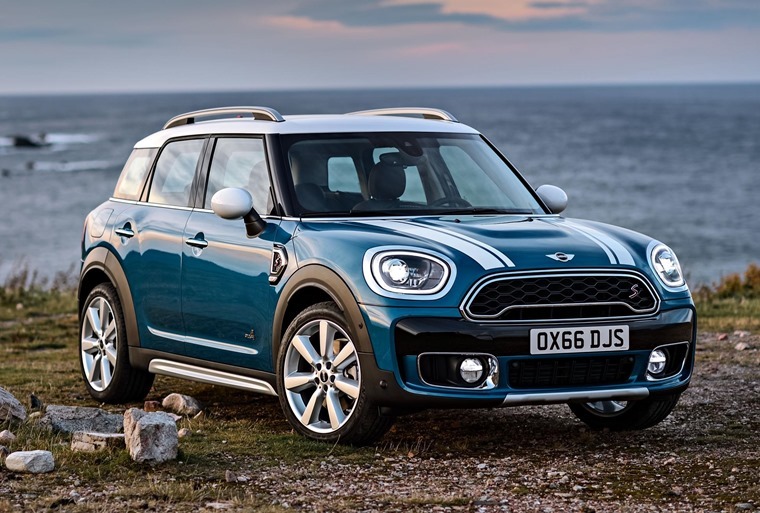 It’s a measure of Mini’s unflappable confidence in its products that it talks about the mainstream C-class segment of small hatches as the new Countryman’s target audience. That means nothing less than the Volkswagen Golf and Ford Focus are in its sights, though we reckon the second-generation Countryman will be more of natural rival to the Audi Q2, BMW X1 and Mercedes GLA. It’s also light when parking and slotting through town, and it’s stable on the motorway. 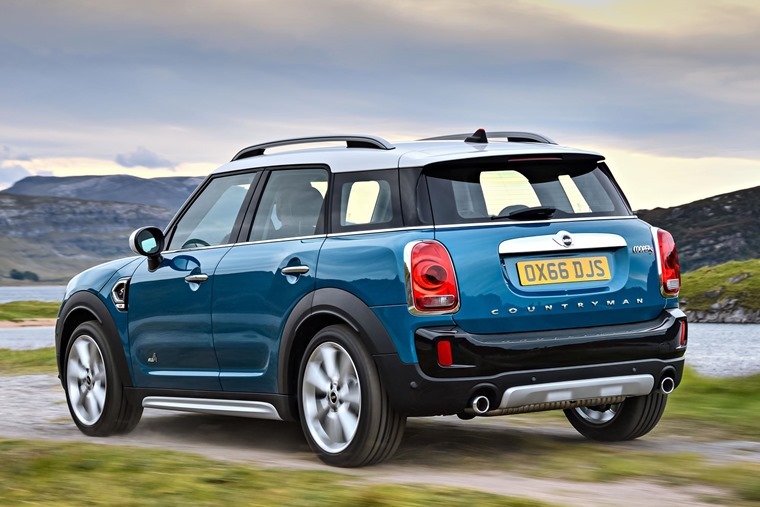 Part of the reason Mini’s tail is up is because this latest Countryman is a whopping 20cm longer than the one before, with 75mm of that length dedicated to a stretched wheelbase. This makes this crossover the same size, give or take, as those mainstream competitors. It also results in an extra 5cm of rear leg room and a significantly larger boot at 450-litres. Not so Mini after all. 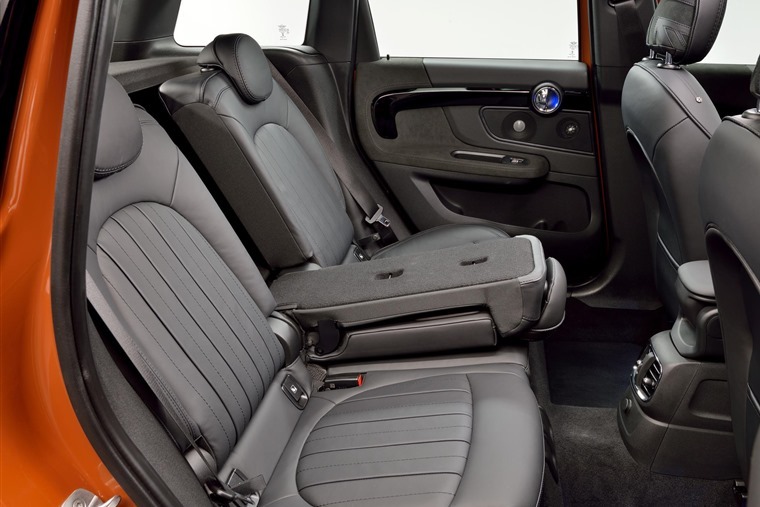 So, bigger is better when it comes to passenger and load space, but what about that essential Mini-ness that defines this brand? The previous Countryman managed to hang on to it despite its pseudo-off-roader pretensions and so does this model. However, it does come with some strings attached. As you approach any corner, there is that instant turn-in response and feeling of the car being planted on the road. It also grips keenly, and so it should as the only cars available at launch were all Cooper S All4 models with four-wheel drive. Even so, there’s an inherent balance to the way the Countryman feels through corners that’s much the same as the smaller hatch models. If the suspension isn’t the most composed on bumpy roads, the rest of the Countryman’s performance makes up for it. The steering is also very much like the other cars in the range, offering decent feel with a linear motion as you turn the wheel. It’s not as full of feel as a Golf GTI, but there’s still more than enough feedback to let you thread the Mini along twisty roads with confidence and ease. It’s also light when parking and slotting through town, and it’s stable on the motorway. Now, if you sense a ‘but’ about to rear its head well done. In this Cooper S version, the nimbleness comes at the expense of the ride quality. While it’s impressive to keep a tall-sided car so lean-free in the bends, it means you feel every undulation, dip and ridge in the road. There is just enough compliance for this not to be a big bone of contention, but when other crossovers strike a better balance it makes you wonder why Mini has chosen to go with such a stiff set-up. We can only hope other version of the Countryman that sit on smaller wheels than the Cooper S have a more supple comfort. If the suspension isn’t the most composed on bumpy roads, the rest of the Countryman’s performance makes up for it. The Cooper S comes with the same 192hp 2.0-litre turbocharged petrol engine as the hatch. You have a choice of six-speed manual or eight-speed automatic gearboxes and our test cars were fitted with the auto. It’s smooth and easy as it works through the gears, so there’s little inclination to use the manual override mode, even when driving with more verve. Use the paddle shifters and there’s a slight delay in changes. No matter how hard you work the engine, it remains refined though perhaps a little too quiet when revved to its limit. We’d also posit that 0-62mph in 7.4 seconds, or 7.5 with the manual ’box, is on the sluggish side in this day and age. Something starting with a 6 would have been better, but then this is perhaps to leave some clear air between it and the Works model that cracks the same sprint in 6.5 seconds. As for running costs, the Cooper S offers 47.1mpg with the auto and 45.6mpg as a manual. Carbon dioxide emissions come in at 137g/km with the eight-speed automatic and 141g/km for the six-speeder that you work yourself. Of course, there are the usual spread of engines you get with other Mini models, though there’s no One model so the entry-point motor is the 136hp 1.5-litre petrol. 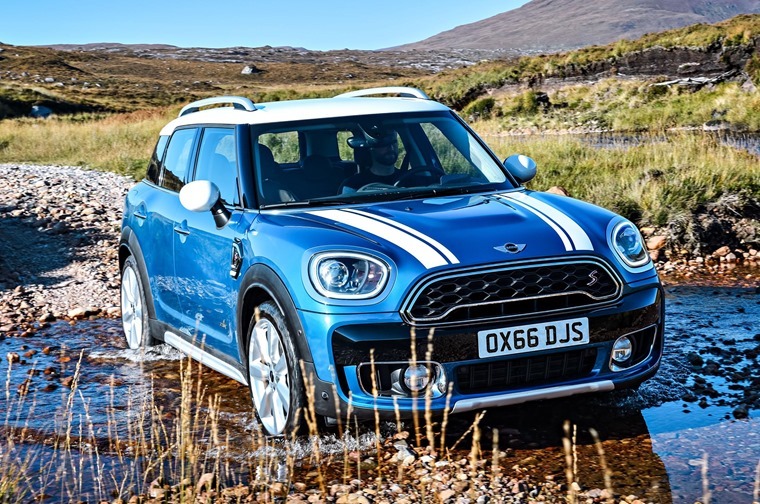 You can choose between front- or four-wheel drive with every version and there’s also the option of the Cooper SE that’s only offered with all-wheel drive. It uses the 1.5-litre engine coupled to an 88hp electric motor to give 0-62mph in 6.8s seconds. 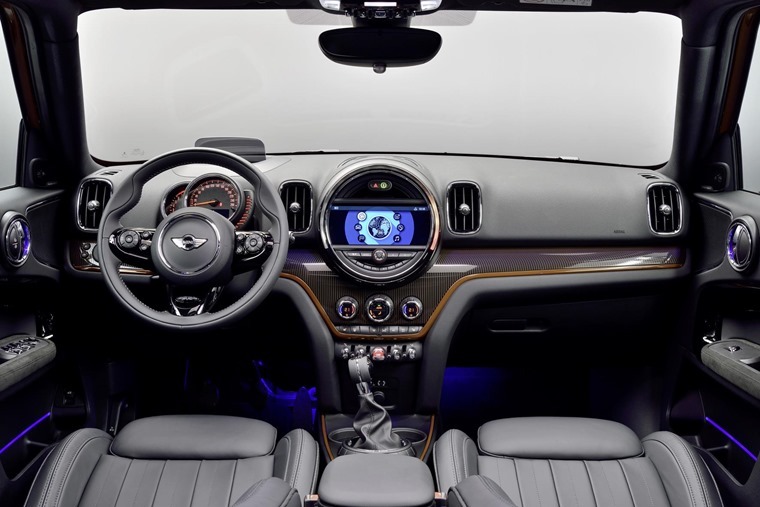 Whichever engine you pick, the Countryman’s interior is where you’ll notice the major changes, especially if you sit in the back. With that extra 5cm of knee room, it’s now possible for adults to sit comfortably. There’s not enough shoulder room for three grown-ups back here, but it’s fine for kids. You can also slide the 40-20-40 split rear bench back and forth to vary load and occupant space. 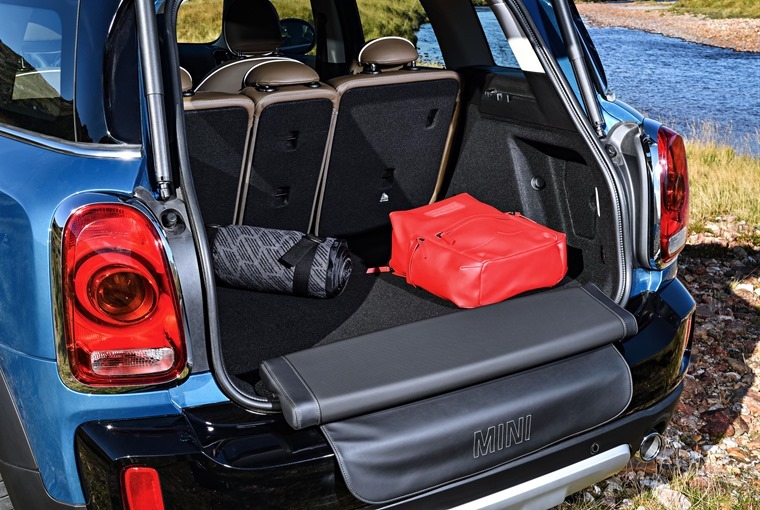 In the boot, as well as the sort of space you’d expect of an SUV-like crossover, there’s also the option of the Picnic Bench – a fold-out cushion and cover that sits on the load sill and is a surprisingly handy extra. It’s easy to use and stow away and we suspect plenty will choose this for getting mucky wellies off the kids without straining your back. Move to the front cabin and it’s all very much as we’ve come to expect of the latest Mini models. There’s a large central dial with radio controls in its most basic form. Plenty will upgrade to the 8.8-inch touchscreen that comes with the sat-nav system and it’s a useful addition. As for the speedo and rev counter in front of the driver, it’s easy to read and there’s an optional heads-up display to project information into the driver’s line of sight. The driving position is good and all-round vision better than in many other crossovers, so the Countryman scores here. So, will this Mini work as an alternative to a mainstream hatch? In a word, no, as it’s too pricey compared to the best sellers, and this Cooper S version isn’t fast enough to stand comparison with hot hatches. Line it up against its real rivals, such as the Q2, X1, Nissan Qashqai and Seat Ateca and it’s much more in the hunt as a size-compromise against these bigger models. Not class best, but there’s still that unique style that will win over plenty of drivers.